Now we’ve all forgotten about Christmas and New Year, Festival season is well and truly kicking off in Adelaide. I can read through my Facebook feed without tripping over events, street parties and must-see acts. One event which South Australian wine lovers should look forward to is the Cellar Door Fest, held every February at the Adelaide Convention Centre. This year, the Fest kicks off on Friday 26 February and, as a sneak peek, a few of Adelaide’s food and wine lovers were treated to an urban cellar door tour. The beauty of the Cellar Door Fest is that, in one weekend, you can (try to!) visit 180 wineries covering 15 of South Australia’s wine regions. Every year the Fest adapts and changes, and this year sees a strong focus on experiences. Alongside the masterclasses and long table lunches (an extended program) 2016 also sees the introduction of a beer garden. There’s a strong emphasis on food (especially cheese) so you’ll also be able to taste new products and chat to producers. We started at Tidswell Wines, on Sydenham Road in Norwood. 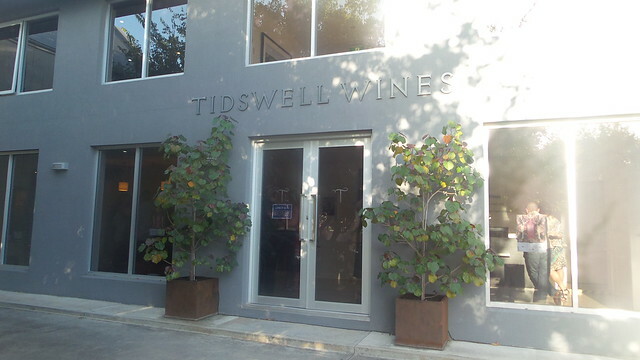 Tidswell’s vineyards are on the Limestone Coast and when they were planted in 1994 they were part of the Coonawarra. Unfortunately, when the Coonawarra GI was established in 2003 the vineyards fell outside the boundary. Today, Tidswell produces a range of red and white wines, all of which we could try (unfortunately I was driving – something of a fail for a cellar door tour). 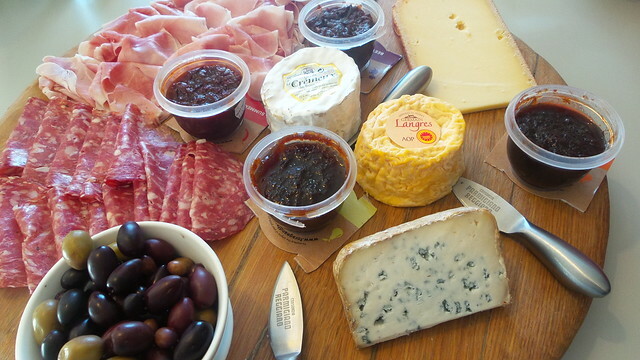 We also snacked on a lovely plate of charcuterie and cheese, provided by Bottega Rotolo. Next stop, and literally across the road, was Signature Wines. You’re unlikely to find Signature in a big bottle shop – Dan and Bec focus on on-trade sales, partnering with many of Australia’s top restaurants, as well as sales through the Norwood cellar door. Here we enjoyed a flight of four wines, accompanied by a pulled beef burger, put together by Jackie Singh of Ruby Spice. Finally, we moved on to Tomich Wines‘ cellar door on King William Rd. We were greeted with more bubbles and wrapped up the evening hearing about chocolate. 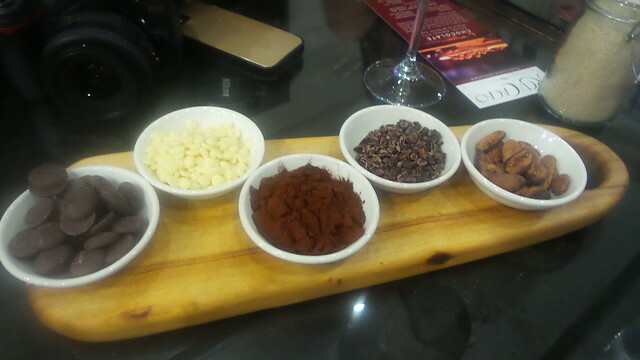 Marcus, from Stirling’s Red Cacao, took us through the chocolate production process and we enjoyed coffee and truffles (his raspberry ganache chocolate I HIGHLY recommend). Throughout the evening we heard from people who have been involved in the Cellar Door Fest for many years. It’s easy to fall into the trap of assuming it’s all about wine but there is so much more on offer. And really – you can either take a week or two off work and spend a LOT of time driving, or … you can high-tail it to the Convention Centre and spend a couple of days checking out the best our state has to offer. 1. Book online. Sure – you can buy your tickets at the door but you’ll save money and queuing time by booking online. 2. Get your timing right. That means – go early. The Friday evening session is usually quieter than the full weekend days so it’s a good option. If you are going on Saturday and/or Sunday – arrive early. As in, arrive when the doors open. There are fewer people so you’ll have the opportunity to talk to producers who aren’t faced with a phalanx of punters and who haven’t yet said the same thing over and over and over. 3. Make use of the pick ‘n pack service. THIS IS THE BEST THING EVER. Sure … you can pretend you’re not going to buy wine but you are and pick ‘n pack will look after your goodies and deliver them safely. Who’s to argue with a whopping 75% of last year’s Fest-goers? 4. LEAVE THE CAR AT HOME. 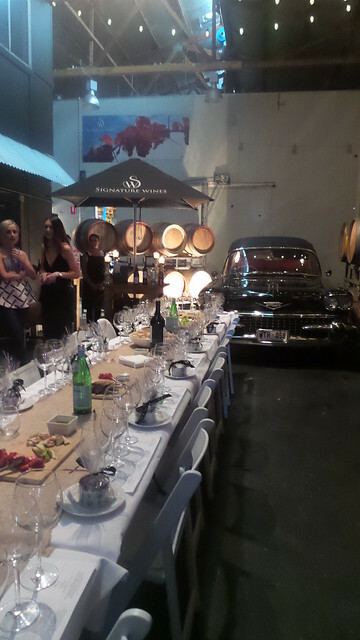 This is a Cellar Door Fest and there’s never an excuse for drinking and driving. The Adelaide Convetion Centre is immediately adjacent to the train station and North Terrace is well served by buses and trams. There are also plenty of taxi ranks for the journey home. Cellar Door Fest runs from 26-28 February at the Adelaide Convention Centre.